In the previous post, we looked at how the Synoptics illustrate the centrality of the cross. While the Gospel of John varies in its structure and language from the Synoptics, the cross remains at the center. This centrality is expressed in a number of different ways. 1. The role that Jesus’ death plays in glorifying the Father reveals this centrality. In one crucial passage (Jn 12:27-34) Jesus acknowledges that his soul is “troubled” and that he wants to cry out, “Father, save me…” He continues, however, by saying: “No, it was for this very reason I came to this hour.” Jesus then prays, “Father, glorify your name!” at which point a voice thunders from the sky, “I have glorified it, and will glorify it again.” It is evident that, while Jesus glorifies the Father throughout his ministry by always doing his will (Jn 4:34), the Father is “most glorified through the direct manifestation and ‘lifting-up’… of the Son,” as Andrew Moody notes. “God’s great moment of glory,” Copan notes, “is in the experience of the greatest humiliation and shame – when he takes the form of a slave and suffers death on a cross for our sakes.” The greatest humiliation, rejection, and suffering that Jesus experiences reveals the Father’s glory in the greatest possible way, for his glory is nothing other than his self-sacrificial character being put on display. 2. We see the centrality of the cross in John’s motif of the son of man being “lifted up” (3:13 and 8:28) as they are combined with the “I am” statements that allude to Jesus’ divine identity (Jn 4:24; 6:20; 8:24, 26, 58; 13:19; 18:5-8). This motif is rooted in Isaiah 53:2, in which Yahweh states that his servant “will be raised and lifted up and highly exalted.” As Richard Bauckham has noted, the way John combines the “lifting up” motif with Jesus’ “I am” statements implies that, “[w]hen Jesus is lifted up, exalted in his humiliation on the cross, then the unique divine identity (“I am he”) will be revealed for all who can see.” In other words, it means that the central point of Jesus’ revelation of God concerns his self-sacrificial character. 4. Finally, we can discern the cruciform character of the God that Jesus reveals in Jesus’ self-sacrificial actions in John’s Gospel. The most poignant is Jesus’ washing of his disciples feet (Jn 13:1-4). John tells us that this act demonstrated that Jesus “loved his own who were in the world, he loved them to the end” (vs.1). What makes this act of service even more profound is that John tells us it took place when “the devil had already prompted Judas, the son of Simon Iscariot, to betray Jesus” (vs.2). Not only this, but just prior to this act John notes that “Jesus knew that the Father had put all things under his power, and that he had come from God and was returning to God.” (vs. 4). In fact, John says that this is precisely why Jesus “got up from the meal, took off his outer clothing, and wrapped a towel around his waist” and “ began to wash his disciples’ feet, drying them with the towel that was wrapped around him” (vs. 5). What do you do when you know that “all things” have been placed “under [your] power”? The one who reveals God’s true character answers this question by humbly washing the feet of his disciples, knowing full well that one had already betrayed him and that the rest would later deny their association with him! This is precisely the servant character that was most clearly revealed on the cross. I trust this suffices to demonstrate that the cross is at the center of John’s Gospel at least as much as it is with the Synoptics. 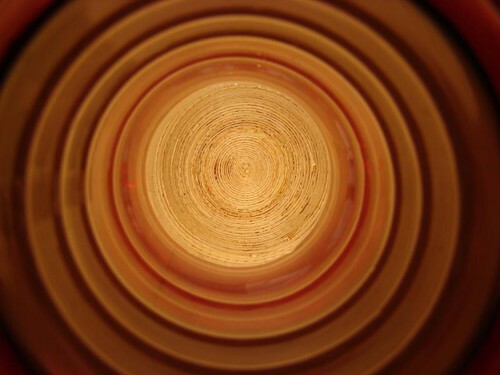 This is the lens through which we should understand God and, therefore, through which we should interpret Scripture. In the next blog we’ll see the same holds true of Paul. A. Moody, “That All May Honour the Son: Holding Out for a Deeper Christocentrism,” Themelios 326.3 (2011), 403-14 [414, fn 437]. The original has “through” italicized. Note the Moody, in contrast to Bultmann, correctly identifies Jesus revelation of God with his being “lifted up.”. P. Copan, Is God a Moral Monster? Making Sense of the Old Testament God (Grand Rapids: Baker, 2011), 33. R. Bauckham, Jesus and the God of Israel: God Crucified and Other Studies in the New Testament: Christology of Divine Identity (Grand Rapids,MI/ Cambridge, U.K.: Eerdman’s, 2008), 47-8. N. T. Wright, “The Glory of God: John,” in Following Jesus: Biblical Reflections on Discipleship (Grand Rapids: Eerdmans, 1994), 37. See also the insightful comments in R. Feldmeier, H. Spieckerman, God of the Living: A Biblical Theology, tran. M. Biddle (Waco, TX: Baylor, 2011), 179, and Moltmann, The Crucified God, 169.